White looks so good on a tan body don't you think? I've been wanting a white watch for the summer, and I finally got my hands on one I love. 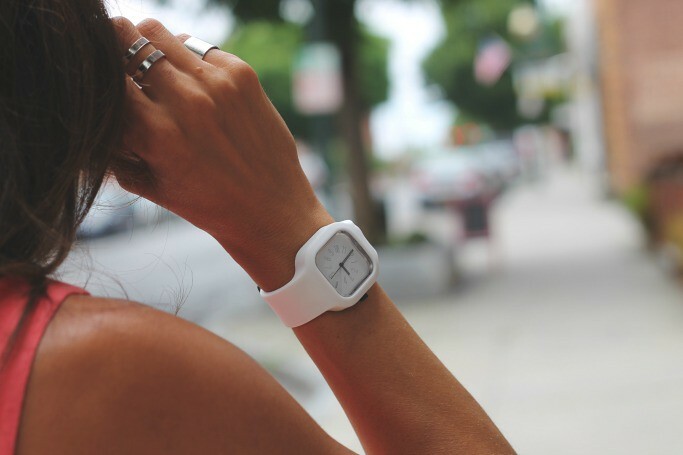 You can build your own watch over at Modify Watches, but I knew immediately it would be all white for me. My husband has this odd obsession with watches on woman, he's very particular about what he likes. This one got his approval... added bonus! This entry was posted on Thursday, June 19, 2014 and is filed under denim,levi's,modify watches,pink,thrifted,white. You can follow any responses to this entry through the RSS 2.0. You can leave a response. You look great Sheree and that watch too.....and what a wonderful concept in watches! I'm a watch lover so I might have to check out Modify soon! Love the watch & the moto vest. I have been lusting for a white Chanel watch for a few years, sigh. Great look! Is that Modify watch the larger, "Classic" size, or the smaller "Sport"?